As social media is a fundamental part of business marketing and community interaction, proper usage is critical. An effective social media strategy can minimize liability and increase customer traffic and contribute to the overall success of the business. Protect your establishment with NY Nightclub Insurance and by following these simple social media tips. Follow Trends- It’s commonplace for businesses to use social media to promote themselves. In order to stand out, keep up with relevant trends such as using Instagram, Vine, and Snapchat to share photos, videos, and deals with your customers. Share Responsibly- Bear in mind that social media sites are public forums and present clients, future customers, and employees can see your posts. Ensure the content you share is appropriate, professional, and relatable. What’s more, audience should always be considered when posting on social media. 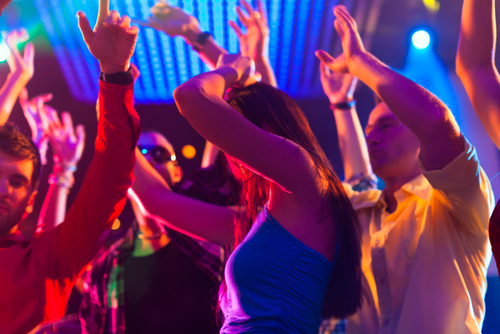 As a nightclub, it is essential to draw in your desired demographic with the content you share. Plan Ahead- Last minute offers and promotions are not effective. In order to guarantee success and a good turnout, begin the planning process at least one month before the event so you have time to spread the world online strategically and run other types of promos such as contests and giveaways, according to Nightclub & Bar. Consistency- This element is critical to social media success. If you are using multiple platforms such as Facebook, Twitter, and Instagram, ensure the message is consistent across all pages. Designs, information, and voice should be spread evenly across each platform. Promote Involvement- Get your staff excited about the social media strategy in order to promote more involvement. The more enthusiastic a staff member is, the more likely he or she is to share the news on their personal pages which will contribute to more revenue. Be Mindful of Copyrights- Although this is self-explanatory, be sure to source any work, quotes, writing, etc. that is not your own. Bring Value- Social media can provide the perfect platform for customer engagement and feedback. This can add value to your followers, fans, and readers and earn you a solid reputation among your community. At RMS Hospitality Group, we cater to the insurance needs of the nightclub industry. Our custom tailored coverages are written to protect the breadth of the risk your club might face. To learn more, we invite you contact our experts today at (888) 359-8390.